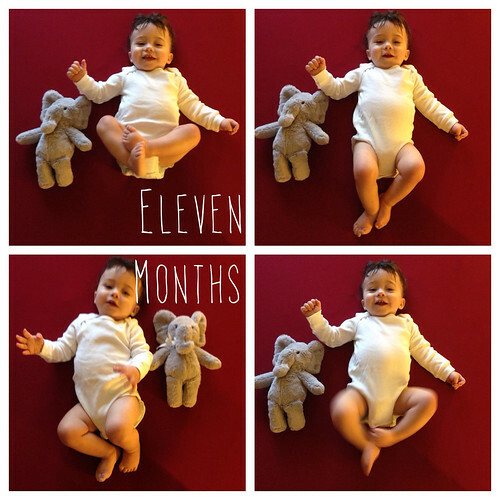 On Tuesday Riley turned ELEVEN months. ELEVEN. As in, one month away from a year old. Wait, what? Stop it. How did this happen? Wasn’t my baby just a week old? A day old? Didn’t I just tell everyone I was pregnant? I’m in so much denial it’s ridiculous. – Has been battling a cough, a fever, teething and overall grumpiness lately. It’s a whole lot. All at once. – Is a crawling maniac. And loves getting into everything he should not get into: cords, shoes, sharp corners. -Loves looking at his reflection in the window and the dishwasher, weirdo. – He also loves other babies. 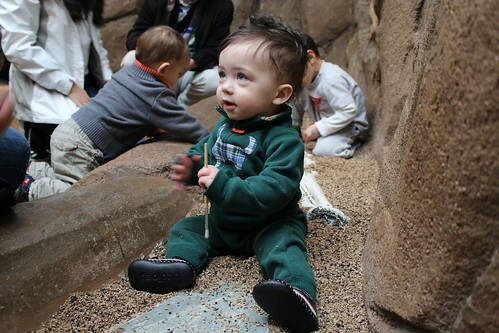 Pictures of other babies or playing with actual babies. It’s so fun to see his personality come out. 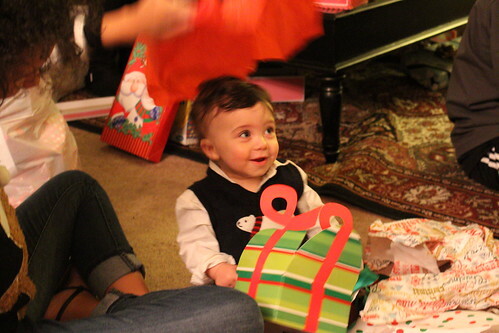 -Had a great first Christmas. He loves the tissue paper and bows and strings the best (naturally). 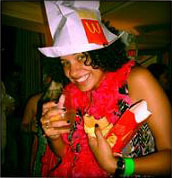 -Was a huge hit of the holidays and holiday parties. 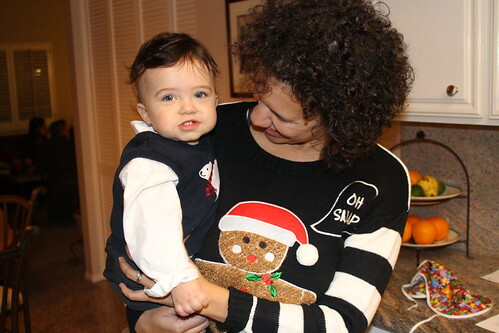 And man I decked this kid out in so many sweaters, vests and goofy hats. It was amazing. – Is getting to be a bit of a daredevil. He loves to pull himself up on things and is just starting to let go. I’m so not ready for a walker, but I think it’s coming soon, eek. – Sleep? What sleep? Ha. I kid. Sort of. He’s gotten betterish. But then when he gets sick or something happens we go back to square one. For example, this week he had to take a new medication to help with an allergy and the side effect was INSOMNIA. I mean, STOP IT. That is just cruel punishment. – AM.SO.TIRED. I thought I would be less tired about now. Apparently I was wrong. All I can say is thank goodness for coffee. And donuts. And people who bring me coffee and donuts. – Have all the feelings and all the emotions. All of the time. – Have had some stress with freelance work lately, but we’re figuring it out. I’ve applied for a few jobs here and there but haven’t heard anything back. I honestly am at such a crossroads and just hope to get some clarity soon. Or a money tree. That would work too. – Finished watching Parenthood. I’m sort of glad I didn’t watch this show live, because I would not have been prepared for all of the crying. And the happiness and the feelings. – Love this picture my sister took of us on Christmas. Riley’s fake smile cracks me up. And my stellar Christmas sweater is pretty amazing too. – Can’t believe I sent out invites to Riley’s first birthday party next month. I am in so much denial. But at the same time, I’m so excited to plan this party, woo!